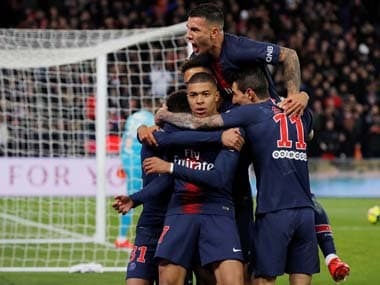 Paris: Paris Saint-Germain coach Unai Emery refused to name his first-choice penalty taker on Thursday, after Neymar and Edinson Cavani's apparent falling out against Lyon last week. 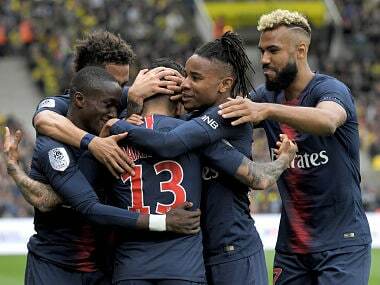 The Ligue 1 leaders travel to Montpellier on Saturday looking to make it seven straight wins to kick off the season, after smashing spending records in the close season to compile the fearsome 'MCN' front line of Neymar, Cavani and Kylian Mbappe. But the South American pair disagreed over who should take a penalty in the 2-0 win over Lyon, before Cavani saw his effort saved by Anthony Lopes, with Neymar appearing to walk away shaking his head in disgust. 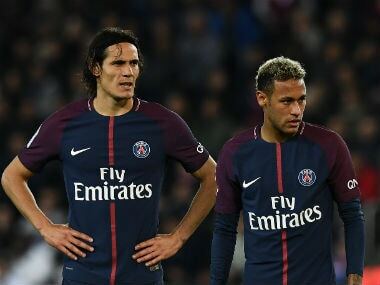 "The two players who will be taking the penalties are Cavani and Neymar," Emery told a press conference on Thursday. "(That is) because they're capable of assuming this responsibility, but other players can take them. "During training, we practice penalties because when the decisive moment arrives and we can win a title with penalties, we will need more than two. "Last year, the penalty taker was Cavani, this year with the arrival of Neymar there are two. Who is number one and who is number two, I will make that decision." 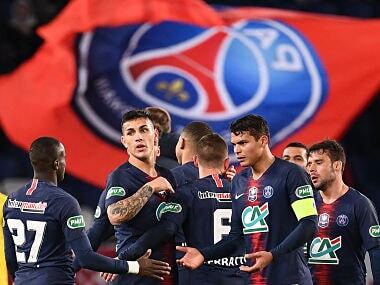 Despite the furore over the penalty drama, Paris Saint-Germain have been in irresistible form and lead reigning champions Monaco by three points at the top of the early table. However, Spaniard Emery may opt to make some changes for the trip to Montpellier with Wednesday's Champions League clash against Bayern Munich in mind. Monaco kick off the weekend action with a trip to Marcelo Bielsa's struggling Lille on Friday. Leonardo Jardim's principality outfit bounced back from a shock 4-0 thrashing at Nice by seeing off Strasbourg 3-0 last week, with Radamel Falcao's brace taking him to nine league goals for the season already. Monaco welcome Porto to the Stade Louis II in the Champions League on Tuesday, but Jardim ruled out making wholesale changes. "My message doesn't change: the next match is the most important," he said. "It's not possible for a player to save himself for the Champions League. If he does, he could also miss out on that match." 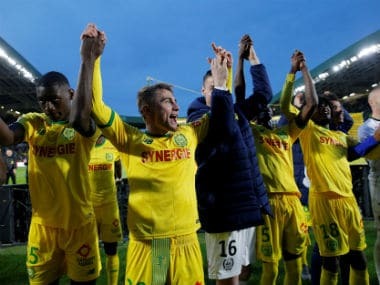 But Lille have had a terrible start to the season after Bielsa's arrival and are on a five-match winless run since beating Nantes in their opening game. The Argentinian coach abruptly resigned as Marseille coach after their first game of the season in 2015, but vehemently insisted there would be no repeat at the Stade Pierre-Mauroy. "I will not resign, I will not give up for any reason," the enigmatic Bielsa said. "The only way for me to stop working here is for me to be dismissed from office, which does not depend on me. "There is absolutely no possibility that I will give up my post." On Sunday, Marseille host Toulouse hoping to build on back-to-back wins over Amiens last weekend and against Konyaspor in the Europa League. OM though have been charged by UEFA for crowd trouble during the 1-0 victory in their group-stage opener, after objects were thrown on the pitch and fireworks were let off in the stands. Bordeaux, one of only two remaining unbeaten sides along with Paris Saint-Germain, play a home match against Guingamp, while third-placed Saint-Etienne face Rennes.